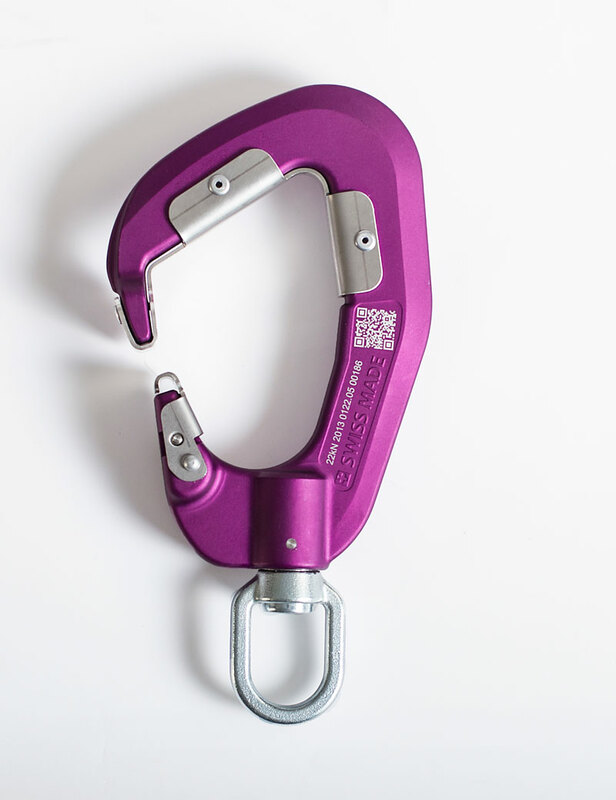 The Kanhook Ultimate mobile connection device features a safety latch that closes automatically with a spring mechanism. 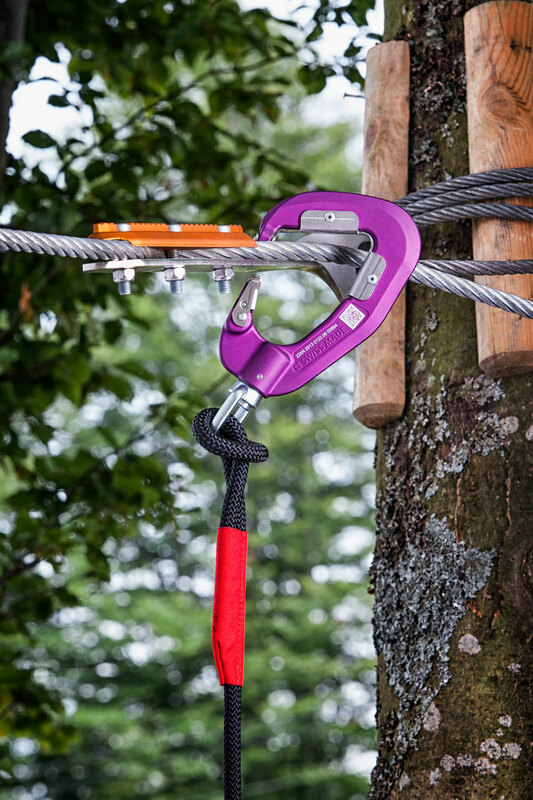 The mobile connection device is constantly closed while on the ropes course. When the spring contacts a bracket, it opens just enough to pass the obstacle freely and then closes automatically. 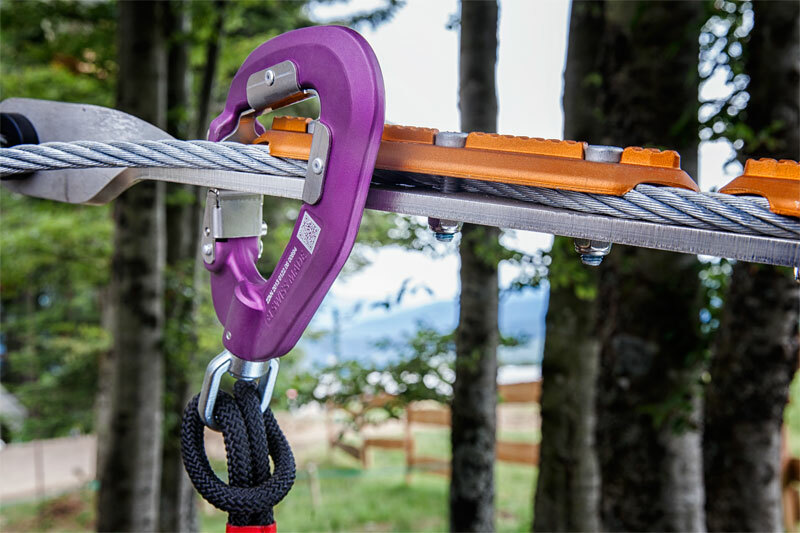 There is no longer any need for manual manipulation on the safety line. Just hook on and go. Visitors can pass obstacles faster. 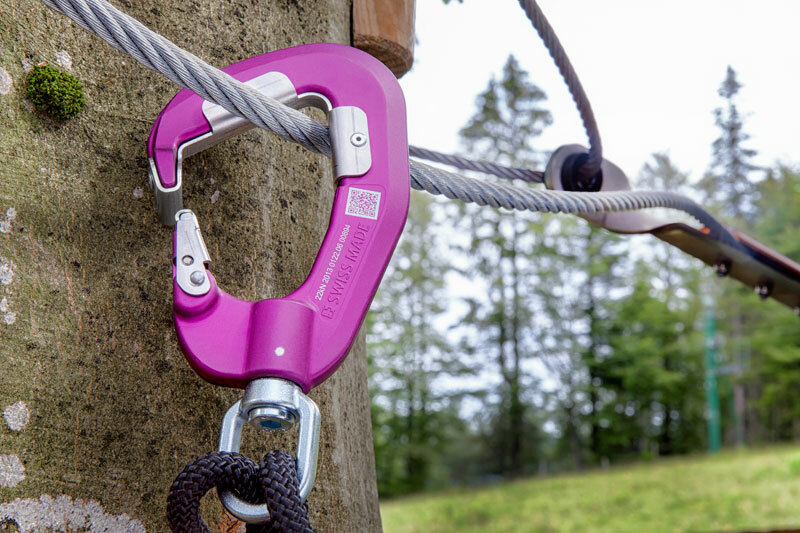 The Kanhook is compatible with zip line trolleys like Petzl Trac or SBE. Spare parts are interchangeable, reusable & recyclable. Only park operators can remove the Kanhook from the safety line quickly and easily, if necessary.